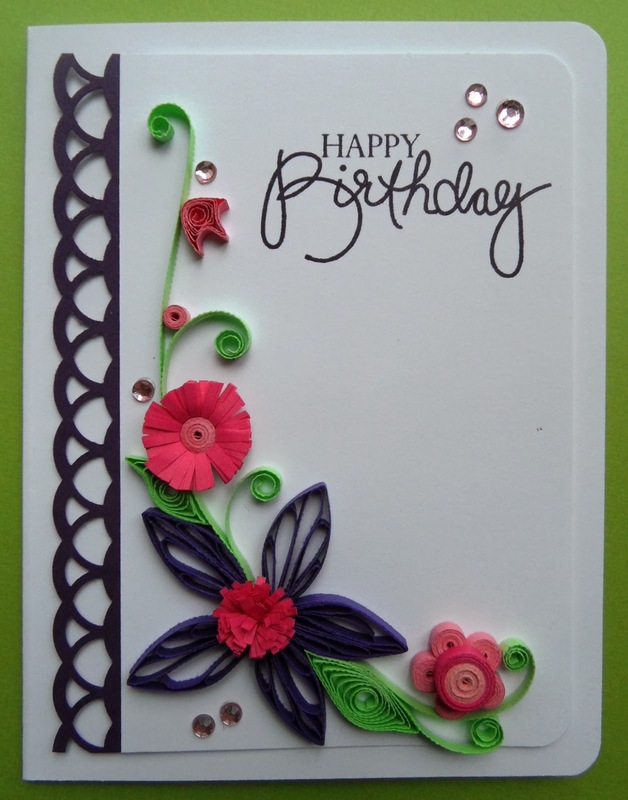 I am teaching a quilling class tonight at Create on Ormond - so I thought I would share one of the cards we are doing. We are looking at techniques for different ways to may flowers. I love quilling although it is a bit fiddly and really not the greatest for people with issues with their fingers - my mum struggles because of her arthritis - but it is relaxing. We are also going to make a malaysian flower as well which is really pretty. I will have to post a photo later on.